Plantation shutters are one of the most popular types of interior shutters in style today. They have wide louvers that can transform a normal room into something much more elegant. Here at Boca Blinds, we love plantation shutters and want you to know all of your options if you’re thinking about installing them. Take a look at the following choices of materials and see which one best match your needs. The look one usually goes for with plantation shutters is wood, because wood looks nice, is known for its durability, and brings a rich feel into any space. Composite shutters are known as engineered wood because – you guessed it – they are designed to look exactly like wood when in fact they’re not. These shutters often look a little nicer than lower-end vinyl choices, and are a bit more expensive. They’re still more affordable composite shutters than real wood shutters and offer improved weather resistance and adaptability to high-humidity climates, making them a good option for enclosed porches and other such indoor-outdoor spaces. When you think of authentic plantation shutters, this is what one usually pictures. These shutters are made out of real wood – most often basswood, to be specific. They’re incredibly strong, while still surprisingly lightweight. If you’re trying to match wood styles and colors, these shutters can be stained and painted any way you desire, as well, unlike vinyl and composite which are pre-made and can’t be stained afterwards. Wood shutters come at a bit of a premium, but the increased versatility and durability makes them well worth the investment. 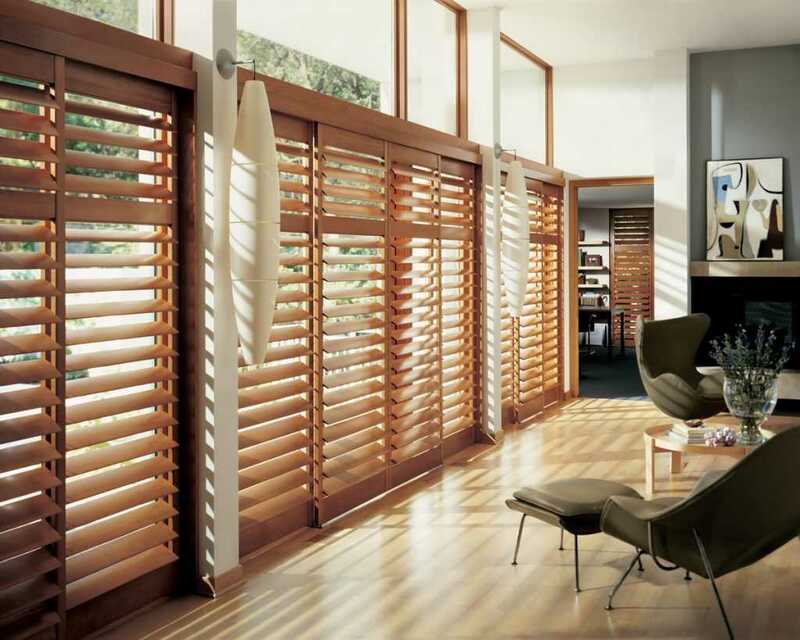 No matter which option you choose to go with, all of the Boca Blinds’ plantation shutter options are durable and fashionable. Check out some photos of our different types of shutters and give us a call at 561-368-5322 to learn more.